My name is Cornel Moldoveanu, I was born in Rosiori de Vede on 05-05-1975. I'm coming from a family of 4 children I am the 3rd. For all my childhood I remember very few. I just know so that I felt a great attraction to all that the Church means. I didn't knew then that was God's call. I didn't excel at school, but I was not codaced. Because my father was ruled by vices like gambling and luck, it was very easy to copy and start doing things like that. When I got to high school, I was so masterful of these things that I started to forgive money at home, to have what I consume. Poorly my mother tried to threaten me even to physically punish me I was at the age in which a beating was not something to scare. At this time I started sleeping on the street, smoked to frequent discos and all kinds of bad things. Also in this time, God began to looking for me. On a winter day I wanted to fix a light bulb and put an armchair in the door to make it easier. I forgot that the threads are in the socket and I corrected myself so hard that I lost my consciousness. Parents told me that it was hard for me to escape because the door was blocked by the armchair. They broke the window and drew my wires. One night I was visited by a shadow standing at my head thought it was death and started to pray until it disappeared. I had a dream with a floating planet flying over the house my bottom. They said it was the kingdom of heaven. For more I read from the Bible, I knew what it means and I started crying to take me me. All this in the dream. Also in this period, some Christians have repented on the street where I was living in an evening when I came from the high school group, they were singing in the yard. I wanted to go into the yard but my hand was stuck, I could not even back it up or enter until after the but I still did not give up. On the 16th of December. 1993 was on a Thursday evening with a group of young people in the neighborhood we decided to go to the repentant church Here we heard they were girls beautiful, but also jokes. Because it was around the winter holidays it was said about the Birth of Jesus. I went home with a very profound research, and that's because I was very good there receive. As long as we during the program are still laughing, the brethren have shown us a great allowance. On departure we were asked if we want to repent, but none of us did. On December 19, 1993, I was at the church and received the Lord Jesus as God, Lord and God Personal Savior. Since the first week I asked to be included in the child care team. The Lord God of the first day gave me all the vices, and filled me with the wisdom for Him. All this time we were teaming with 2-3 young men and going through the train station on the street and through the neighborhood to give Christian literature. On the 18th of October. 1994 am was taken to the army until October 12, 1995. During the military training I can not say many spiritual works but just the fact that I gave them the urge to be a good witness, and God has kept my heart work. When I came from the army, I made a group of 31 children in the worst neighborhoods of Rosiori. At the Church, we teach them about God and in we teach them to write and read. Years have passed. God prepared me a faithful wife, and she gave us six children. 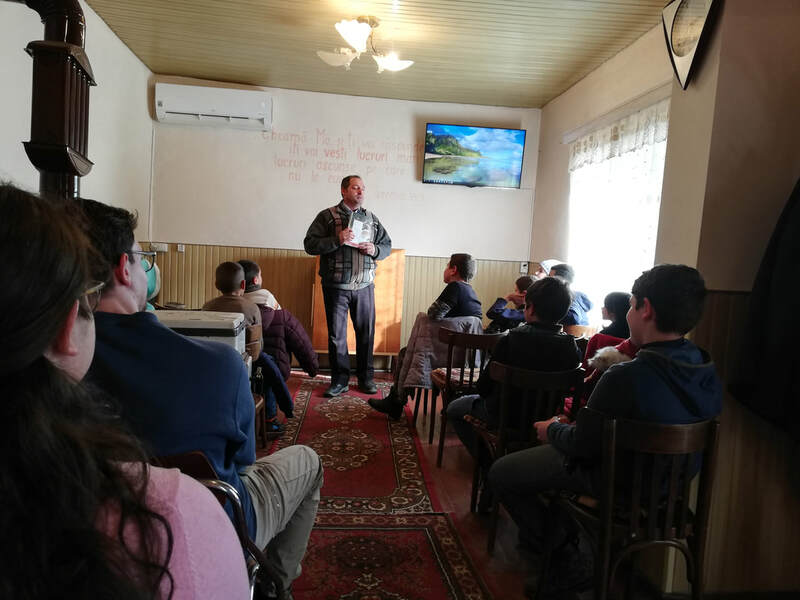 In 2007, the Brother of Rosiori decided to go together to Maldaeni village to help the church who was dying, and since then we have stayed in this village. Măldăeni is a commune in Teleorman County, Muntenia, Romania, formed only from the village of residence of the same name, with about 8,000 inhabitants. From the confessional point of view, most of the inhabitants are Orthodox (96.41%). My family and I we are in charge of the Maldaeni church. We are the ones who take care of the administrative part but also of the spiritual work. 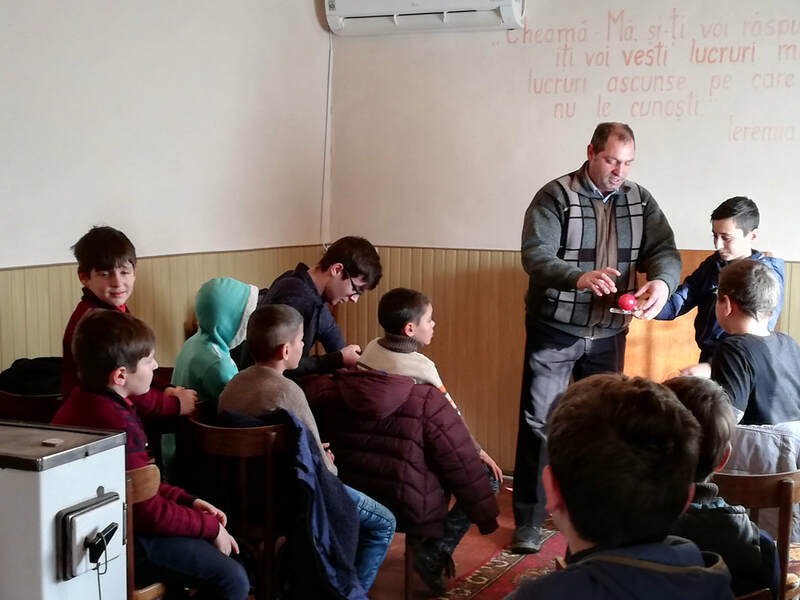 Together with our older boys, are preachers and we are involved with Children’s Ministry. 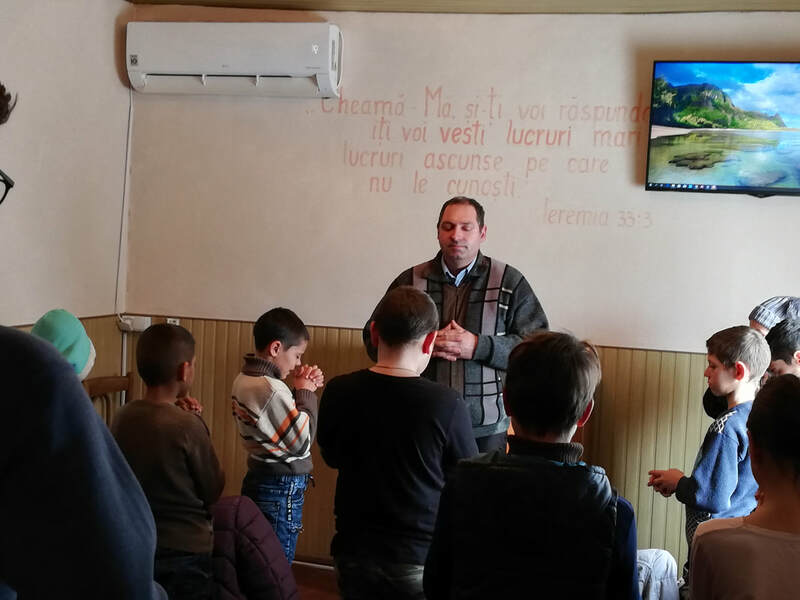 Together with the children we put posters on the poles with verses from the Bible, and from time to time we go out on the street where we are singing, talking to people and giving Christian literature. Also, together with the brothers from the church, we are going and distribute food to the poor families through home visits. From time to time we do evangelism in the Church for 2-3 evenings. 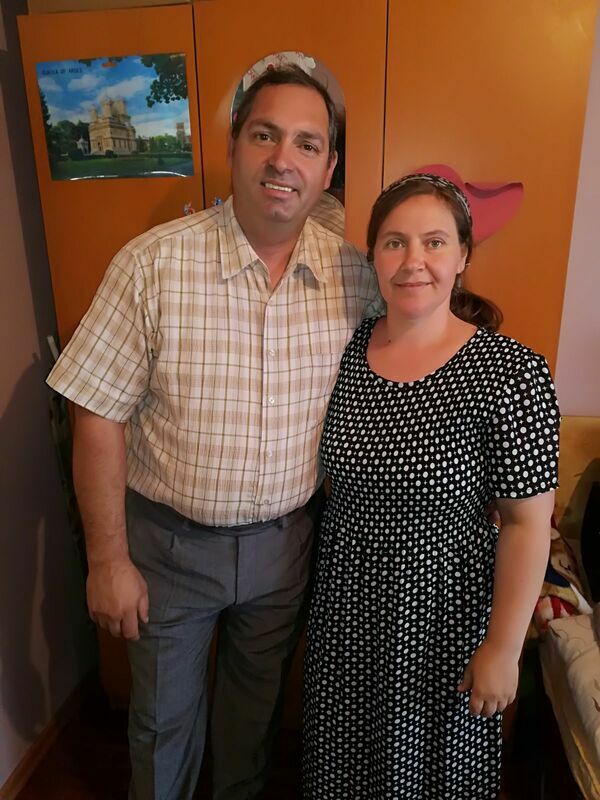 Together with my wife we are visiting some people in the village who receive us. The Lord God has urged us to have a house fellowship at Scrioastea village. The meeting has a close relative to the wife. The purpose of these fellows is to build our souls but also to evangelize in certain houses that receive us. We are still in good contact with the “Lord's Way” Church in Alexandria and when we need each other we help in work. We want to extend the work from Scrioastea, claiming that those whom God will save will belong to a particular church, but we want to urge them to seek the Church to grow them spiritually and to feel the presence and guidance The Holy Spirit. We want to be more dependent on the Lord God, and for this we want to learn to die to ourselves. We want to learn to live by faith. We want in these localities to pray for every house, on every street or shroud, based on the promise of the Lord as it is where the sole of our feet shall heal us will give to His glory.